Whenever we get a missed call from an unknown number, we are curious to know the information about the caller. The information can be his/her name, location or service provider. But the problem is to figure out, the way in which we can do the information gathering ourselves. So today we will discuss some top 3 ways to find information of mobile number in India. There are many tools and software’s available for the information gathering process. You can use different methods to find different type of Information. So let us start with Location and Service/Network provider. There are many websites which gives information about the location and service provider of a mobile number. This information is recorded when the mobile number is registered to a user for the first time. It may also be deduced from the first few digits of mobile number. 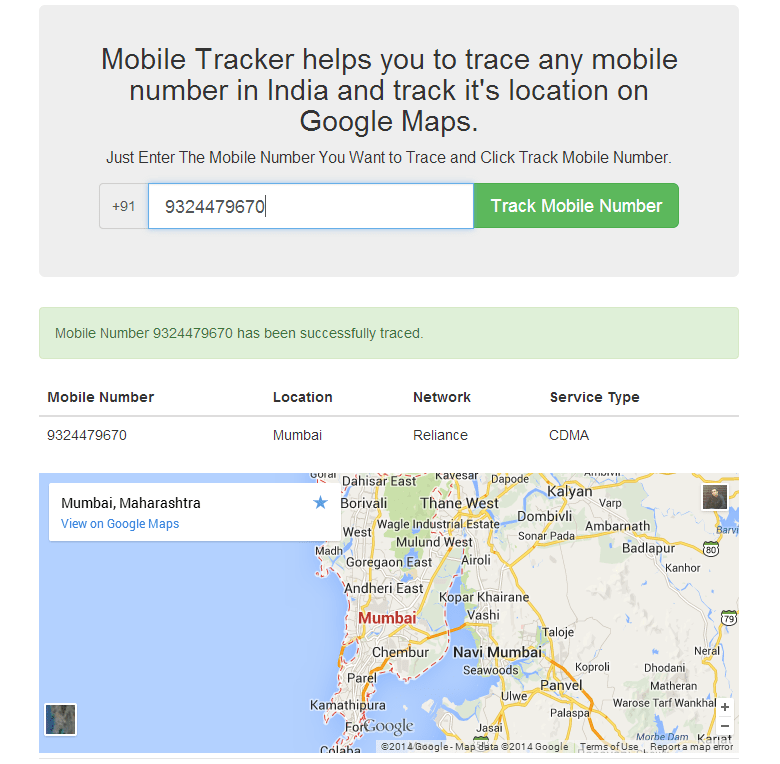 Go to Mobile tracker website. Enter the mobile number whose information you want to search and press enter. It will provide you with the location and network provider of the given number. The location is provided on a Map which will help you to figure out the city from which the number is registered. Though it will not point out the current location of the user, but still you get to know from where you are getting the calls. So it narrows down your search to some extent. This tool will be soon getting an update for searching the new information, if the mobile number’s network provider is changed via mobile number portability(MNP). After getting the location and service provider, let’s move on to one of the important information i.e. the name of the unknown caller. For that you can use one of the famous online public phone directory named truecaller. Go to truecaller website and enter the number. You will need to sign in using google,facebook or twitter account. So go ahead and sign in and authorize the truecaller app. After that you will get the name of the unknown caller and a True Score. True score denotes the number of people who have saved the number with that name. So higher the score, more is the reliability of the information. There are many mobile apps that can be used for finding information of the mobile number. Truecaller also has a mobile app that can be used to search the names of unknown caller. You can download it from the store, or refer the complete article from the link given above. Just launch your respective store app (Playstore, Windows Store etc) and search for mobile number trace or mobile number information apps. As they are updated every day, you can download the latest one. Though i recommend truecaller app for mobile as it has many features like caller id search, blacklist etc. Though our topic is to find information of mobile number only, but you may need information on landline too. So let us search some information on BSNL landline number. BSNL maintains an online open directory which can be used to search address or name of the user to whom the landline is registered. Go to this BSNL Online Directory website and Select the state. Now you can search via name, telephone, or find address of a landline number. It’s very helpful in your information gathering process and the information is completely accurate. In this way you can find information of mobile number in India. If you know any other technique’s, you can share it with us by posting it in the comment section below.